Our focus is providing a web based platform for environment groups, volunteers, and for all those interested in sustaining the environment. It is our aim to increase environmental awareness, to encourage a greater sharing of information and knowledge, and to encourage community and overseas participation. JD Anderson: Former International pilot, good friend and supporter of John Hogan. Stephen King: Former environmental activist, and first young conservator of the year. 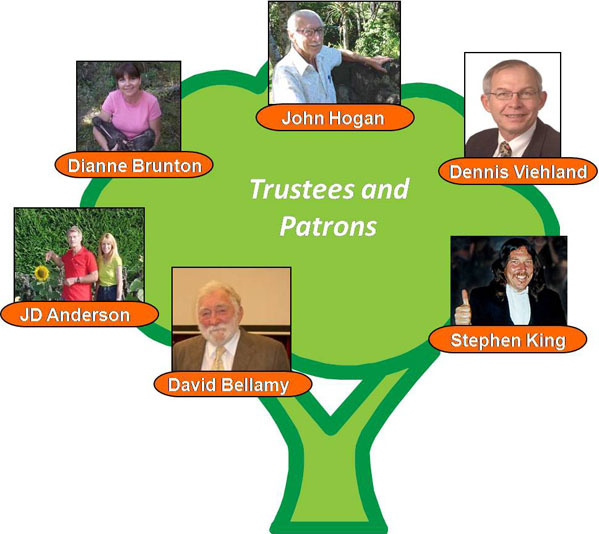 Founding trustee of the NZ Native Forest Restoration Trust and Waipoua Forest Trust. Lady Beverley Reeves: Wife of Sir Paul Reeves. Patron of Yellowe-eyed Penguin Trust and Friends of Refugees Trust.